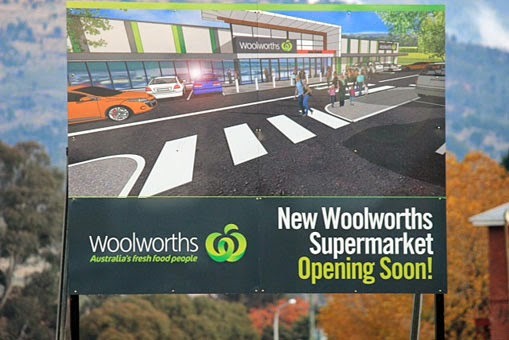 ABOUT 150 people will be employed in the building of New Norfolk's new Woolworths Supermarket, development manager James Weight said last Thursday at the turning of the first sod on the development site. Mr Weight said New Norfolk shoppers could look forward to a modern, convenient supermarket. Mr Weight said. The development will include a brand new 3200sqm Woolworths store and parking for more than 200 cars. jobs at the Woolworths supermarket once the development is completed. We are pleased to be supporting local construction jobs with the appointment of Macquarie Builders as the lead contractor for the project,” he said. With construction subject to weather and other variables the new New Norfolk store is expected to open in mid-2015.